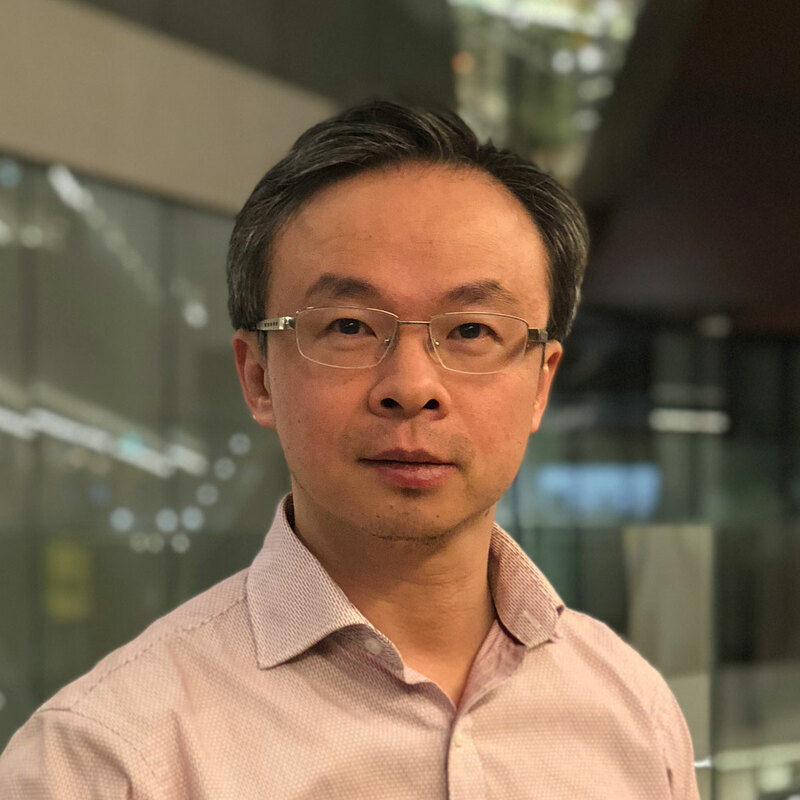 As an Associate Professor and Director of Industry Analytics and Visualisation, and the creator of at Faculty of Engineering & IT's DataLounge initiative, I am constantly navigating between the demands of developing world-renowned machine learning research and finding practical applications in real industry scenarios. This sees me managing a team of 25 academics, Postdoc, PhD students and engineers; applying their minds and talents to an array of industry projects for government and businesses. Aside from my duties as Industry director, I also publish a series of Statistics, Probability and Machine Learning (including Deep Learning) courses for PhD students and ML practitioners around the world. I recorded the world's most popular Mandarin-speaking machine learning research MOOCS in Youku and Youtube. I published many scholarly papers, some of which were co-authored with world's top ten most influential machine learning researchers. I am the co-founder of Deep Learning Sydney meetup, which has over 2500+ members of mostly industry data scientists. © 2013 IEEE. In the traditional graph embedding framework, the graph is usually built by k-NN or r-ball. Since it is difficult to manually set the parameters k and r in the high-dimensional space, sparse representation-based methods are usually introduced to automatically build the graphs. In recent years, nuclear norm-based matrix regression (NMR) has been proposed for face recognition using the low rank structural information (i.e., the image matrix-based error model). Inspired by NMR, we give a NMR-based projections (NMRP) method for feature extraction and recognition. The experiments on FERET and extended Yale B face databases show that NMR can be used to build the graph while NMRP is an effective feature extraction method. © 2016Existing Active Contour methods suffer from the deficiencies of initialization sensitivity, slow convergence, and being insufficient in the presence of image noise and inhomogeneity. To address these problems, this paper proposes a region scalable active contour model with global constraint (RSGC). The energy function is formulated by incorporating local and global constraints. The local constraint is a region scalable fitting term that draws upon local region information under controllable scales. The global constraint is constructed through estimating the global intensity distribution of image content. Specifically, the global intensity distribution is approximated with a Gaussian Mixture Model (GMM) and estimated by Expectation Maximization (EM) algorithm as a prior. The segmentation process is implemented through optimizing the improved energy function. Comparing with two other representative models, i.e. region-scalable fitting model (RSF) and active contour model without edges (CV), the proposed RSGC model achieves more efficient, stable and precise results on most testing images under the joint actions of local and global constraints. © 1992-2012 IEEE. Variations of target appearances due to illumination changes, heavy occlusions, and target deformations are the major factors for tracking drift. In this paper, we show that the tracking drift can be effectively corrected by exploiting the relationship between the current tracker and its historical tracker snapshots. Here, a multi-expert framework is established by the current tracker and its historical trained tracker snapshots. The proposed scheme is formulated into a unified discrete graph optimization framework, whose nodes are modeled by the hypotheses of the multiple experts. Furthermore, an exact solution of the discrete graph exists giving the object state estimation at each time step. With the unary and binary compatibility graph scores defined properly, the proposed framework corrects the tracker drift via selecting the best expert hypothesis, which implicitly analyzes the recent performance of the multi-expert by only evaluating graph scores at the current frame. Three base trackers are integrated into the proposed framework to validate its effectiveness. We first integrate the online SVM on a budget algorithm into the framework with significant improvement. Then, the regression correlation filters with hand-crafted features and deep convolutional neural network features are introduced, respectively, to further boost the tracking performance. The proposed three trackers are extensively evaluated on three data sets: TB-50, TB-100, and VOT2015. The experimental results demonstrate the excellent performance of the proposed approaches against the state-of-the-art methods. Copyright © 2017 John Wiley & Sons, Ltd. How to generate summary with more novel and rich semantics is a challenging issue in the area of multi-document automatic summary. In this paper, a core semantics extraction model (CSEM) is proposed to improve the novel and rich semantics of multi-document summary. Firstly, for improving the rich semantics, semantic units, which are a group of association relations of keywords, are used to express texts' semantics. Secondly, for improving the novel semantics, an attenuation function is introduced to adjust the importance of semantic units according to the appearing times that sem antic units in the candidate of summary sentences. Thirdly, in order to maximize the novel and rich semantics of summary, the generating process of summary is converted into the optimization process on how to find a set of sentences with a higher importance. Finally, CSEM extracts the least number of sentences to cover the most core semantics in corpus as summary. Experimental results on the benchmark DUC 2004 show that our model outperforms the state-of-art approaches (eg, OCCAMS_V, JS-Gen-2) under official metric. Especially, the recall of our model in ROUGE-1 is 40.684%, which is better than other approaches (eg, OCCAMS_V 38.497% and JS-Gen-2 36.739%). Relational model learning is useful for numerous practical applications. Many algorithms have been proposed in recent years to tackle this important yet challenging problem. Existing algorithms utilize only binary directional link data to recover hidden network structures. However, there exists far richer and more meaningful information in other parts of a network which one can (and should) exploit. The attributes associated with each node, for instance, contain crucial information to help practitioners understand the underlying relationships in a network. For this reason, in this paper, we propose two models and their solutions, namely the node-information involved mixed-membership model and the node-information involved latent-feature model, in an effort to systematically incorporate additional node information. To effectively achieve this aim, node information is used to generate individual sticks of a stick-breaking process. In this way, not only can we avoid the need to prespecify the number of communities beforehand, the algorithm also encourages that nodes exhibiting similar information have a higher chance of assigning the same community membership. Substantial efforts have been made toward achieving the appropriateness and efficiency of these models, including the use of conjugate priors. We evaluate our framework and its inference algorithms using real-world data sets, which show the generality and effectiveness of our models in capturing implicit network structures. hidden topics and, more importantly, the number of topics. © 2016 Elsevier B.V. A recommender system is a commonly used technique to improve user experience in e-commerce applications. One of the popular recommender methods is Matrix Factorization (MF) that learns the latent profile of both users and items. However, if the historical ratings are not available, the latent profile will draw from a zero-mean Gaussian prior, resulting in uninformative recommendations. To deal with this issue, we propose using an n-dimensional Markov random field as the prior of matrix factorization (called mrf-MF). In the Markov random field, the attribute (such as age, occupation of users and genre, release year of items) is considered as the site and the latent profile, the random variable. Through the prior, new users or items will be recommended according to its neighbors. The proposed model is suitable for three types of cold-start recommendation: (1) recommend new items to existing users; (2) recommend new users for existing items; (3) recommend new items to new users. The proposed model is assessed on two movie datasets, Movielens 100K and Movielens 1M. Experimental results show that it can effectively solve each of the three cold-start problems and outperforms several matrix factorization based methods. In many image processing applications, the structures conveyed in the image contour can often be described by a set of connected ellipses. Previous fitting methods to align the connected ellipse structure with a contour, in general, lack a continuous solution space. In addition, the solution obtain often satisfies only a partial number of ellipses, leaving others with poor fits. In this paper, we address these two problems by presenting an iterative framework for fitting a 2D silhouettte contour to a pre-specified connected ellipses structure with a very coarse initial guess. Under the proposed framework, we first improve the initial guess by modelling the silhouette region as set of disconnected ellipses using mixture of Gaussian densities or the heuristics approaches. Then, an iterative method is applied in a similar fashion to the Iterative Closest Point (ICP) (Alshawa, 2007; Li and Griffiths, 2000; Besl and McKay, 1992) algorithm. Each iteration contains two parts: first part is to assighn all the contour points to the individual unconnected ellipses, which we refer to as the segmentation step and the second part is the non-linear least square approach that minimizes both the sum of the square distance between the countour points and ellipse's edge as well as minimizing the ellipse's vertex pair(s) distances, which we refer to as the minimization step. We illustrate the effectiveness of our menthods through experimental result on several images as well as applying the algorithm to a mini database of human upper-body images. © Springer International Publishing AG 2016.Making recommendations for new users is a challenging task of cold-start recommendations due to the absence of historical ratings. When the attributes of users are available, such as age, occupation and gender, then new users' preference can be inferred. Inspired by the user based collaborative filtering in warm-start scenario, we propose using the similarity on attributes to conduct recommendations for new users. Two basic similarity metrics, cosine and Jaccard, are evaluated for cold-start. We also propose a novel recommendation model, MetricRec, that learns an interest-derived metric such that the users with similar interests are close to each other in the attribute space. As the MetricRec's feasible area is conic, we propose an efficient Interior-point Stochastic Gradient Descent (ISGD) method to optimize it. During the optimizing process, the metric is always guaranteed in the feasible area. Owing to the stochastic strategy, ISGD possesses scalability. Finally, the proposed models are assessed on two movie datasets, Movielens-100K and Movielens-1M. Experimental results demonstrate that MetricRec can effectively learn the interest-derived metric that is superior to cosine and Jaccard, and solve the cold-start problem effectively. In this paper, we propose a novel example-based face hallucination method through nonparametric Bayesian learning based on the assumption that human faces have similar local pixel structure. We cluster the low resolution (LR) face image patches by nonparametric method distance dependent Chinese Restaurant process (ddCRP) and calculate the centres of the clusters (i.e., subspaces). Then, we learn the mapping coefficients from the LR patches to high resolution (HR) patches in each subspace. Finally, the HR patches of input low resolution face image can be efficiently generated by a simple linear regression. The spatial distance constraint is employed to aid the learning of subspace centers so that every subspace will better reflect the detailed information of image patches. Experimental results show our method is efficient and promising for face hallucination. Incorporating the side information of text corpus, i.e., authors, time stamps, and emotional tags, into the traditionaltext mining models has gained significant interests in the area of information retrieval, statistical natural language processing, andmachine learning. One branch of these works is the so-called Author Topic Model (ATM), which incorporates the authors'sinterests as side information into the classical topic model. However, the existing ATM needs to predefine the number of topics, which is difficult and inappropriate in many real-world settings. In this paper, we propose an Infinite Author Topic (IAT) modelto resolve this issue. Instead of assigning a discrete probability on fixed number of topics, we use a stochastic process to determinethe number of topics from the data itself. To be specific, we extend a gamma-negative binomial process to three levels in orderto capture the author-document-keyword hierarchical structure. Furthermore, each document is assigned a mixed gamma processthat accounts for the multi-author's contribution towards this document. An efficient Gibbs sampling inference algorithm witheach conditional distribution being closed-form is developed for the IAT model. Experiments on several real-world datasets showthe capabilities of our IAT model to learn the hidden topics, authors' interests on these topics and the number of topicssimultaneously. In recent years, the desire and need to understand streaming data has been increasing. Along with the constant flow of data, it is critical to classify and segment the observations on-the-fly without being limited to a rigid number of classes. In other words, the system needs to be adaptive to the streaming data and capable of updating its parameters to comply with natural changes. This interesting problem, however, is poorly addressed in the literature, as many of the common studies focus on offline classification over a pre-defined class set. In this paper, we propose a novel adaptive online system based on Markov switching models with hierarchical Dirichlet process priors. This infinite adaptive online approach is capable of segmenting and classifying the streaming data over infinite classes, while meeting the memory and delay constraints of streaming contexts. The model is further enhanced by a 'predictive batching' mechanism, that is able to divide the flowing data into batches of variable size, imitating the ground-truth segments. Experiments on two video datasets show significant performance of the proposed approach in frame-level accuracy, segmentation recall and precision, while determining the accurate number of classes in acceptable computational time. This paper proposes a novel graph-based method for representing a human's shape during the performance of an action. Despite their strong representational power, graphs are computationally cumbersome for pattern analysis. One way of circumventing this problem is that of transforming the graphs into a vector space by means of graph embedding. Such an embedding can be conveniently obtained by way of a set of 'prototype' graphs and a dissimilarity measure: yet, the critical step in this approach is the selection of a suitable set of prototypes which can capture both the salient structure within each action class as well as the intra-class variation. This paper proposes a new discriminative approach for the selection of prototypes which maximizes a function of the inter- and intra-class distances. Experiments on an action recognition dataset reported in the paper show that such a discriminative approach outperforms well-established prototype selection methods such as center, border and random prototype selection. Generative models can be flexibly employed in a variety of tasks such as classification, detection and segmen- tation thanks to their explicit modelling of likelihood functions. However, likelihood functions are hard to model accurately in many real cases. In this paper, we present an enhanced hidden Markov model capable of dealing with the noisy, high-dimensional and sparse measurements typical of action feature sets. The modified model, named hid- den Markov model with multiple, independent observations (HMM-MIO), joins: a) robustness to observation outliers, b) dimensionality reduction, and c) processing of sparse observations. In the paper, a set of experimental results over the Weizmann and KTH datasets shows that this model can be tuned to achieve classification accuracy comparable to that of discriminative classifiers. While discriminative ap- proaches remain the natural choice for classification tasks, our results prove that likelihoods, too, can be modelled to a high level of accuracy. In the near future, we plan extension of HMM-MIO along the lines of infinite Markov models and its integration into a switching model for continuous human action recognition. The problem of human action recognition has received increasing attention in recent years for its importance in many applications. Yet, the main limitation of current approaches is that they do not capture well the spatial relationships in the subject performing the action. This paper presents an initial study which uses graphs to represent the actorâs shape and graph embedding to then convert the graph into a suitable feature vector. In this way, we can benefit from the wide range of statistical classifiers while retaining the strong representational power of graphs. The paper shows that, although the proposed method does not yet achieve accuracy comparable to that of the best existing approaches, the embedded graphs are capable of describing the deformable human shape and its evolution along the time. This confirms the interesting rationale of the approach and its potential for future performance. Human action recognition can be approached by combining an action-discriminative feature set with a classifier. However, the dimensionality of typical feature sets joint with that of the time dimension often leads to a curse-of-dimensionality situation. Moreover, the measurement of the feature set is subject to sometime severe errors. This paper presents an approach to human action recognition based on robust dimensionality reduction. The observation probabilities of hidden Markov models (HMM) are modelled by mixtures of probabilistic principal components analyzers and mixtures of t-distribution sub-spaces, and compared with conventional Gaussian mixture models. Experimental results on two datasets show that dimensionality reduction helps improve the classification accuracy and that the heavier-tailed t-distribution can help reduce the impact of outliers generated by segmentation errors. Compressive Sensing (CS) is an emerging signal processing technique where a sparse signal is reconstructed from a small set of random projections. In the recent literature, CS techniques have demonstrated promising results for signal compression and reconstruction [9, 8, 1]. However, their potential as dimensionality reduction techniques for time series has not been significantly explored to date. To this aim, this work investigates the suitability of compressive-sensed time series in an application of human action recognition. In the paper, results from several experiments are presented: (1) in a first set of experiments, the time series are transformed into the CS domain and fed into a hidden Markov model (HMM) for action recognition; (2) in a second set of experiments, the time series are explicitly reconstructed after CS compression and then used for recognition; (3) in the third set of experiments, the time series are compressed by a hybrid CS-Haar basis prior to input into HMM; (4) in the fourth set, the time series are reconstructed from the hybrid CS-Haar basis and used for recognition. We further compare these approaches with alternative techniques such as sub-sampling and filtering. Results from our experiments show unequivocally that the application of CS does not degrade the recognition accuracy; rather, it often increases it. This proves that CS can provide a desirable form of dimensionality reduction in pattern recognition over time series. Benter, A, Xu, R, Moore, W, Antolovich, M & Gao, J 2009, 'Fragment size detection within homogeneous material using ground penetrating radar', 2009 International Radar Conference "Surveillance for a Safer World", RADAR 2009. Ground Penetrating Radar (GPR) offers the ability to observe the internal structure of a pile of rocks. Large fragments within the pile may not be visible on the surface. Determining these large fragment sizes before collection can improve mine productivity. This research has examined the potential to identify objects where the background media and the object exhibit the same dielectric properties. Preliminary results are presented which show identification is possible using standard GPR equipment. In this paper, we discuss an effective method for detecting human upper body parts from a 2D image silhouette using curvature analysis and ellipse fitting. First we smooth the silhouette so that we can determine just the global features: the head, hands and armpits. Next we reduce the smoothing to detect the local features of the neck and elbows. We model the human upper body by multiple connected ellipses. Thus we segment the body by the extracted features. Ellipses are fitted to each segment. Lastly, we apply a non-linear least square method to minimize the differences between the connected ellipse model and the edge of the silhouette. ©2009 IEEE.